I have always considered myself a lover of stationery. School supply shopping is my favourite (even when I am not in school), picking out a new agenda is one of the highlights of my year, and I can never have enough cute sticky notes or interesting coloured pens. 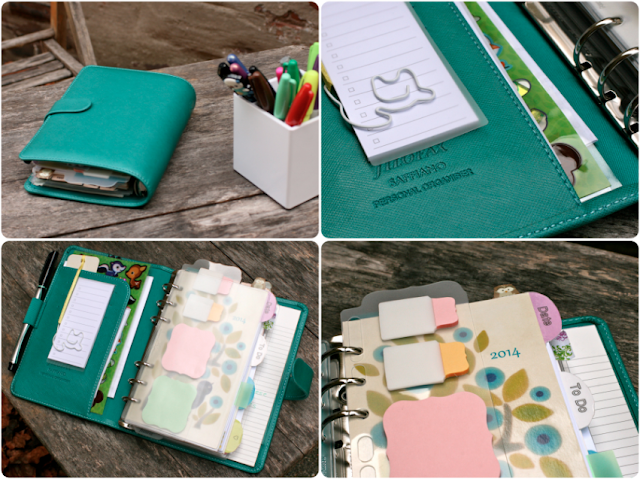 I didn't even realize I was only at the tip of the iceberg, until I discovered the world of the Filofax. I have heard of Filofaxes before and have had other six-ring agendas such as DayRunners and even Lisa Frank planners (I had a black glittery one with colourful aliens on it.) This, however, was years ago, and I hadn't thought much about it since. Then about a month ago, I stumbled upon the hashtag Filofax on Instagram. From that moment on, I became instantly addicted and had to get a Filofax of my own. 3. Muji dividers labeled with clear label tape. 4. A sticky note covered flyleaf at the end. 1. Brother P-Touch 80 & Single Hole Punch. 2. Various fun shaped sticky notes. 2. Mini tape and scissors & Extra stickies. 3. Gelly Rolls, Sharpie, Le Pens, Muji .38, Sharpie, & more Sharpie. 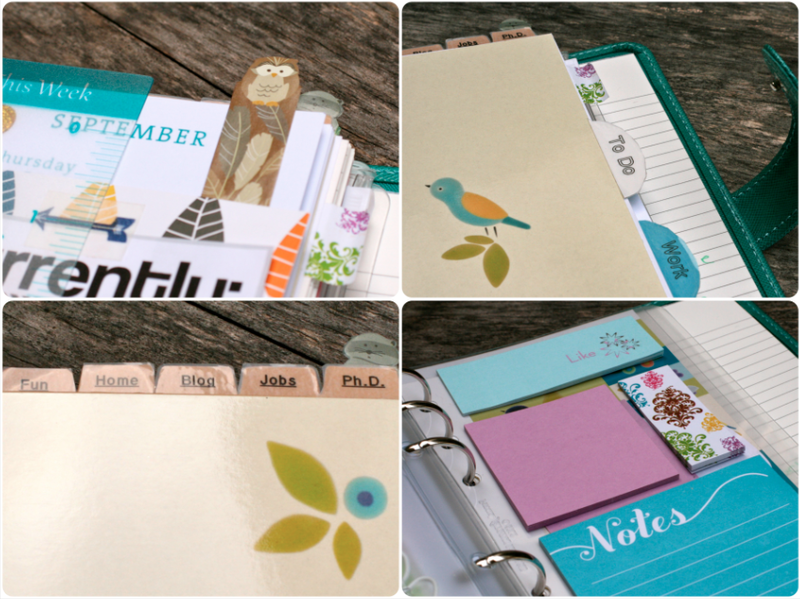 For more Filofax related pictures (along with pictures of nail art, NYC, & cats. Definitely cats. ), you can follow me on Instagram. My username is @kdalve or you can click on the icon on the right side of this blog. I'm loving the Filofax system as a way of organization. It's completely customizable. Decorating the pages makes it fun and something you want to constantly check. 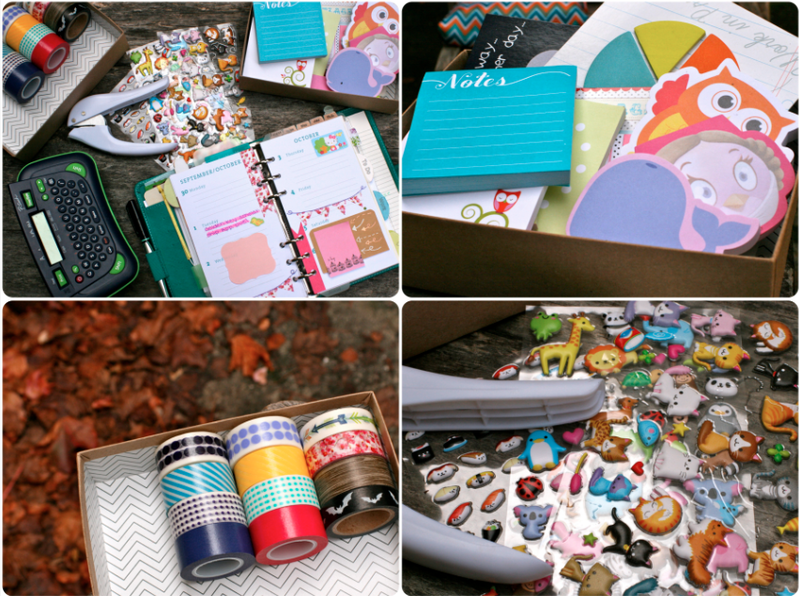 Plus, it gives you an excuse to buy copious amounts of sticky notes, stickers, and more. That teal is really pretty! 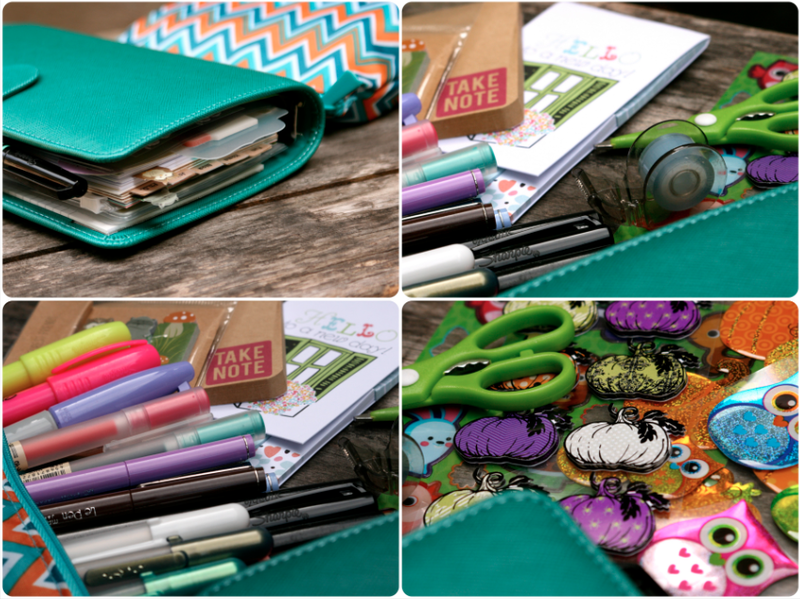 Love the binder and your stash. It becomes addicting! So many people use their phones for organization, but I LOVE using these types of agendas! It's fun and I find the act of writing something down sticks with me longer!! Great post! I definitely agree! I love having a physical agenda & writing my lists down!